At Thornton Chiropractic, we do things a little differently than most chiropractic offices. We use and offer a variety of chiropractic techniques and therapies to safely treat the entire body including gentle hands-on and instrument adjusting that is safe for all ages. The doctors often use a "drop" table which has sections that break away or drop down less than an inch during adjustments. This offers a more comfortable feeling without the "crunch" of most other hands-on techniques. Both doctors are advanced in the Activator Methods Technique which uses a hand-held instrument to make gentle adjustments to the spine and extremities﻿. Dr. Sharon is also a board eligible functional neurologist. Functional neurology, ﻿kinesiology taping, cranial-sacral, cold laser and muscle stimulation are other therapies provided when needed. Afraid of being twisted into a pretzel - relax, we don't adjust that way! Also, many chiropractors will simply focus or treat one area at each visit, requiring you to come back for repeated visits to address all of your areas of concern. Drs. Sharon and Marty will spend quality time with you, checking your entire spine (and any extremity issues) at every visit, saving you time and money! We treat our patients with the respect and the quality of care they deserve and strive to run a family-friendly office in a loving and Christian environment. It is important for us to get to know you as a person, not just a patient and to fit the right care for your needs. We accept patients of all ages for general chiropractic care, personal/sport injuries, auto accidents, work injuries, and Medicare and more. We are different ~ in a good way! Drs. Marty & Sharon met and married while attending and later graduating from the prestigious Palmer College of Chiropractic in Davenport, Iowa. They returned to the Northwest to set up and run their practice in Independence, Oregon in 1997. Outside of their office th﻿ey enjoy an active lifestyle including camping, riding ATVs, water skiing and other water sports, being outside whenever possible and a﻿ttending their son's sporting events where they have served as team chiropractors. They are active in the community, church, are the major sponsor of the Monmouth-Independence Food Project, and contribute to local school and community activities and functions. They also have served on numerous mission trips in several countries on a near yearly basis. Chiropractic is a health care profession that focuses on the relationship between your nervous system and the function (health) of your body. Your nervou﻿s system, which consists of your brain, spinal cord and all the nerves in your body, controls the function of every cell, tissue, organ and system in your body. Every joint in your body supplies constant input (good or bad) into your nervous system. When your joints are not moving the way they are designed this affects the nervous system (bad input) and can cause symptoms including but not limited to pain, muscle tension, headaches, numbness, weakness and even such things as dizziness, brain fog, asthma, heartburn/indigestion or bladder/bowel problems, and learning difficulties. Drs. 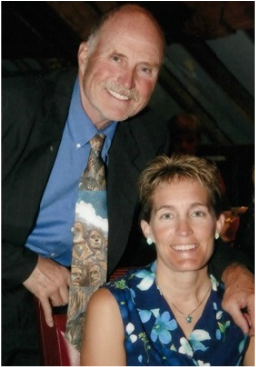 Sharon and Marty are highly trained to correct abnormal joint movement from your spine as well as the joints in your cranium, jaw, chest/ribs, arms and legs to restore proper/good input into your nervous system so you can function at a higher level and enjoy better health! Contact our office to schedule your massage appointment today!